Something funny's happening in Sweden. After seven years of declining music sales, people are paying for tunes again. Physical sales aren't up much - 9%, according to the Swedish arm of the International Federation of the Phonographic Industry - but digital sales have increased by a massive 80% in nine months. The music industry reckons the rise is largely due to the implementation of new anti-file sharing laws. We don't - and we reckon revenues are going to increase further now that Swedish ISP Telia is bundling Spotify Premium subscriptions into its internet and mobile offerings. Despite Lord Mandelson's best efforts we don't have severe anti-piracy legislation in the UK, but we do have a massively growing market for legal digital music: the year isn't over yet, but already the BPI is claiming that 2009 is "the biggest ever year for UK singles". The reason? iTunes, and We7, and Play.com, and Amazon, and all the other decent music sites. Together they've done more to dent illegal downloading than lawsuits ever will. The truth is, file sharing's a pain in the neck and most people only do it when there isn't a good alternative. You need to get to grips with BitTorrent and in some cases muck around with ports; you run the risk of faked, incomplete or poor quality files; your downloads might be throttled by your ISP; and you're entirely reliant on other people seeding the files you want - which is fine for popular, recent, mainstream stuff but not so good for anything else. Compare that with services such as Spotify. 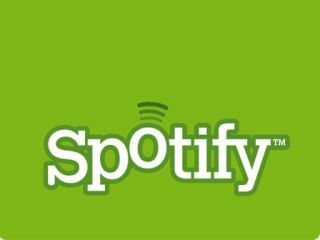 We've had much more luck finding obscure tracks on Spotify than on BitTorrent, we don't need to worry about ISP throttling or whether there are enough seeders and if you go for the premium version you can take your music with you on an iPhone, on an iPod touch, on Android phones and on Symbian ones, too. When you've got that, why would you bother with BitTorrent? We're not the only ones who think that. Reporting on a survey from MoneySupermarket, our colleagues at T3.com note that for two out of three dodgy downloaders Spotify "has worked like a nicotine patch and encouraged illegal downloaders to kick their habit." Like smoking, it's much easier and much cheaper to prevent people from getting the habit than it is to treat them when they're hopelessly hooked - and yet in the UK, it seems that the copyright industry prefers the latter. According to BT and the Carphone Warehouse, it seems that implementing the proposed three-strikes system would cost at least £2 per connection per month - an enormous amount of money that will have little or no effect on file sharing. Wouldn't it be smarter to subsidise Spotify?